Headphones with audio recordings are available upon entry to the exhibition, offering an introduction to the artwork and an optional guidance in deep breathwork, for a non-denominational meditation on the sound. 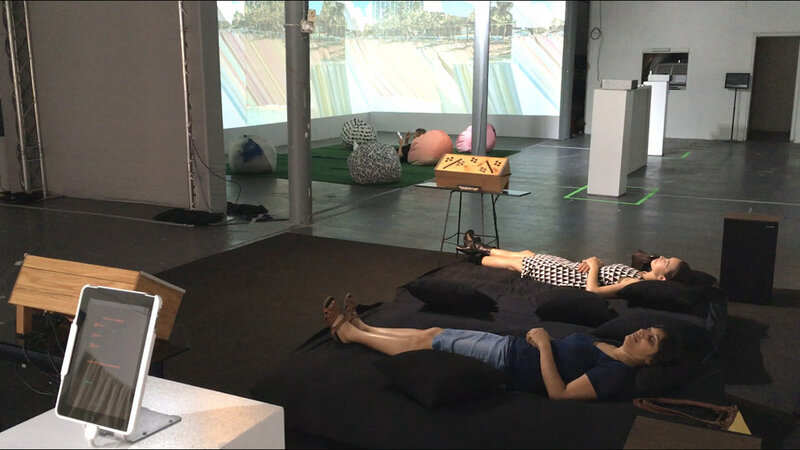 Bearing aesthetic similarities to Om chants, Mongolian throat singing, Tibetan singing bowl meditations, or the didgeridoos of Aboriginal Australia, Magnetic Sound’s “Infinity” creates natural resonance in a new way, encouraging meditative listening and a communal safe space for a new generation. 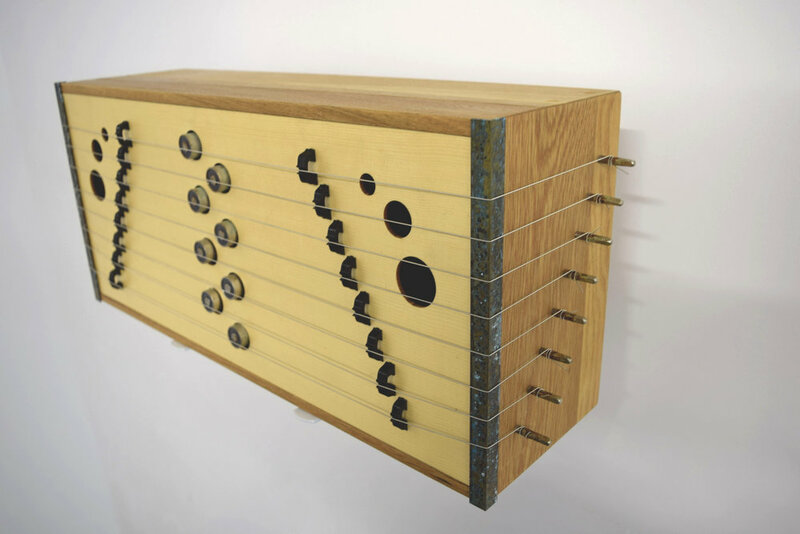 Thematically, Magnetic Sound systems tie together organic materials (the wooden vibrational structures) with contemporary technologies, representing man-made integration with natural systems. The result is an intimate, sonic retreat. In much the same way that urban parks are dedicated sanctuaries, Infinity is intended as an offering of safe space and vulnerability for the public amidst an urban environment.